November was an exciting month for Maslow. The first Maslow kits shipped by someone other than Hannah and I are in the mail, this month we saw a sneak preview of a potentially web based version of Ground Control, and we saw a whole bunch of exciting new projects. First and foremost there are Maslow kits shipping again! 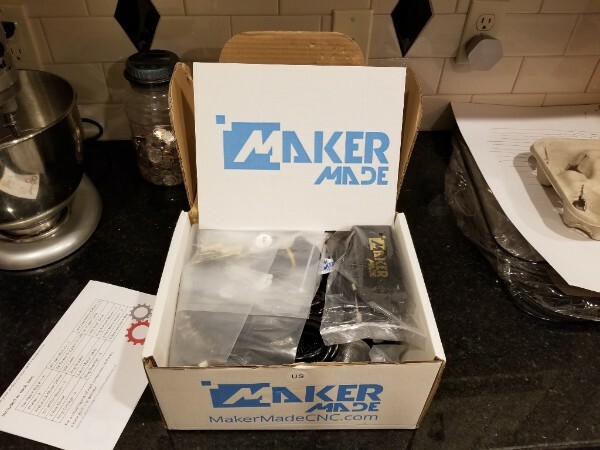 MakerMade are the first to begin shipping kits (they're ahead of schedule!). I couldn't be more excited to see how they have been handling things. It feels fantastic to see kits starting to arrive without me having to worry about them. As always there have been a slew of exciting projects since the last update. Here are a couple of my favorites. Superbender used his Maslow to create a far from ordinary fence this week. We love the creativity shown here! theHipNerd did some amazing work creating half tone images by drilling holes of various sizes. He posted more details about the bit he used and more in the forums. And finally Arne2050 used his machine to make a parametric mold for casting which is an exciting possibility. On a personal note I've been a bit absent recently in the forums because I've been spending a lot of time with my family. I was working on Maslow things for the last two Thanksgivings so it felt extra great to get to put in some solid family time this year.